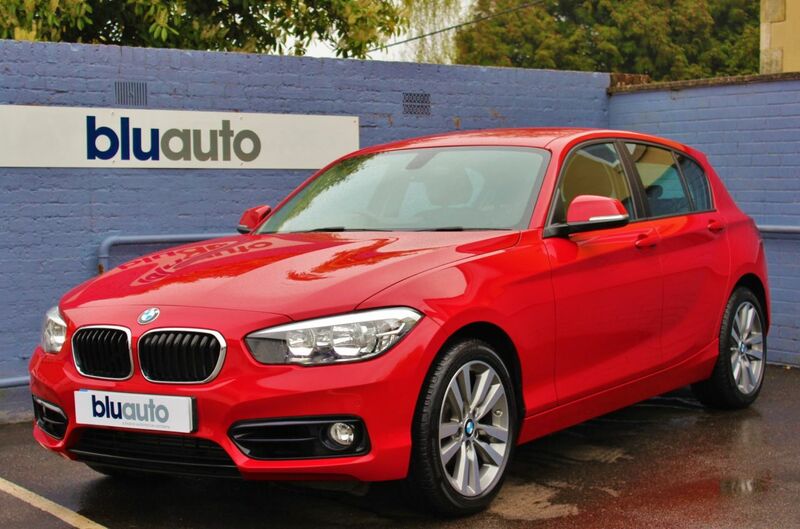 If you want a small but practical car and enjoy your driving, the BMW 1 Series just has to be the hatchback of choice. It's the least expensive BMW you can buy, but don't let that fool you; it still benefits from a gorgeously luxurious cabin, functional but stylish design, and thanks to the automatic transmission and 2.0 litre diesel engine, the running costs are superb too with over 70MPG on the combined cycle, and a yearly tax bill of only £20. Our 118D has been meticulously maintained from new with a Full BMW Service History (services at 11,929, 20,716 and 23,730 miles), and has only one previous owner. Specification too is impressive, the previous keeper spared no expense in equipping the vehicle with the latest tech, and as a result, our 1 Series features the following; Front & Rear Parking Sensors with Visual Proximity Display, Satellite Navigation, Bluetooth Connectivity with Audio Streaming, Cruise Control, DAB Radio, Diamond-Cut Alloy Wheels and Automatic Lights & Wipers.